Silymarin (Silybium marianum), an extract of milk thistle, is often used to treat chronic liver disease. Researchers with the Silymarin in the NASH and C Hepatitis (SyNCH) Study Group studied its effect when combined with interferon. 154 people with chronic HCV infection were randomly assigned to a treatment given 3 times per day for 24 weeks. All patients had alanine aminotransferase (ALT) blood levels of at least 65 U/L. All were previously unsuccessfully treated with interferon-based therapy. ALT is an enzyme found mainly in the liver. 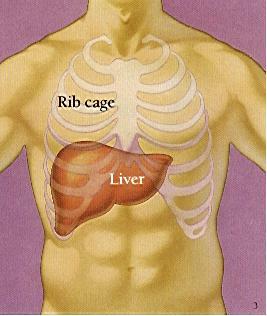 High levels in blood mean there is destruction of liver cells. The main objective was to lower ALT levels to not higher than 45 U/L (considered normal) or less than 65 U/L, provided this was at least a 50% decline from starting values. The average decline in ALT at the end of treatment did not differ significantly among treatments. There were no significant differences in HCV RNA levels or in quality-of-life. The side effect profile of silymarin was comparable to placebo. The results are important because they are (according to the authors) based on a reputable silymarin product in a large group of patients with a specific (Hep C) liver disease. Also, the dose of silymarin was higher than usually taken. No liver biopsies were done to confirm the results. However, ALT levels correlate with improvement in liver inflammation and should be an acceptable surrogate marker. The authors tell us that adherence to therapy was maintained. So, we can’t assume the lack of effect was due to not taking the medicine. There is some evidence from laboratory studies that milk thistle interferes with the replication of the hepatitis C virus. However, this has not been translated to studies in people. It’s possible that treatment was started too late since these patients had failed interferon therapy previously. However, identifying these patients is a challenge, with 80% of people with hepatitis C showing no symptoms until liver failure or symptoms of liver cirrhosis are noticed. To address this problem a one time screening for Hep C was conducted earlier this year. And, the Centers for Disease Control and Prevention has issued draft guidelines proposing that all U.S. baby boomers get a one-time test for the hepatitis C virus. These asymptomatic people in an earlier stage of hepatitis C might benefit from silymarin and should be studied. According to the CDC, more than 2 million U.S. baby boomers are infected with hepatitis C.
This entry was posted on Wednesday, July 18th, 2012 at 10:03 AM	and is filed under FDA/FTC/CDC, Liver Disease, Milk Thistle. You can follow any responses to this entry through the RSS 2.0 feed. You can leave a response, or trackback from your own site.